Politics of Health - "The Truth Will Always Win"
Is It Wise to Desire What We Most Want? "The Truth Will Always Win"
Although Assange states in this editorial that he believes in the “just war” theory, his actual practice represents one of the best examples imaginable of aggressive non-violent action. He is to be commended. If there is to be any hope for the social, political and ecological health of our world, then a great deal of this sort of non-violent but aggressive action will be required. Revealing or telling the truth, even when it is unpopular and dangerous to do so, must be our point of departure toward a democratic and sustainable world. n 1958 a young Rupert Murdoch, then owner and editor of Adelaide's The News, wrote: "In the race between secrecy and truth, it seems inevitable that truth will always win." His observation perhaps reflected his father Keith Murdoch's expose that Australian troops were being needlessly sacrificed by incompetent British commanders on the shores of Gallipoli. The British tried to shut him up but Keith Murdoch would not be silenced and his efforts led to the termination of the disastrous Gallipoli campaign. Nearly a century later, WikiLeaks is also fearlessly publishing facts that need to be made public. I grew up in a Queensland country town where people spoke their minds bluntly. They distrusted big government as something that could be corrupted if not watched carefully. The dark days of corruption in the Queensland government before the Fitzgerald inquiry are testimony to what happens when the politicians gag the media from reporting the truth. These things have stayed with me. WikiLeaks was created around these core values. The idea, conceived in Australia, was to use internet technologies in new ways to report the truth. Democratic societies need a strong media and WikiLeaks is part of that media. The media helps keep government honest. WikiLeaks has revealed some hard truths about the Iraq and Afghan wars, and broken stories about corporate corruption. People have said I am anti-war: for the record, I am not. Sometimes nations need to go to war, and there are just wars. But there is nothing more wrong than a government lying to its people about those wars, then asking these same citizens to put their lives and their taxes on the line for those lies. If a war is justified, then tell the truth and the people will decide whether to support it. If you have read any of the Afghan or Iraq war logs, any of the US embassy cables or any of the stories about the things WikiLeaks has reported, consider how important it is for all media to be able to report these things freely. WikiLeaks is not the only publisher of the US embassy cables. Other media outlets, including Britain ‘s The Guardian, The New York Times, El Pais in Spain and Der Spiegel in Germany have published the same redacted cables. Yet it is WikiLeaks, as the co-ordinator of these other groups, that has copped the most vicious attacks and accusations from the US government and its acolytes. I have been accused of treason, even though I am an Australian, not a US, citizen. There have been dozens of serious calls in the US for me to be "taken out" by US special forces. Sarah Palin says I should be "hunted down like Osama bin Laden", a Republican bill sits before the US Senate seeking to have me declared a "transnational threat" and disposed of accordingly. An adviser to the Canadian Prime Minister's office has called on national television for me to be assassinated. An American blogger has called for my 20-year-old son, here in Australia, to be kidnapped and harmed for no other reason than to get at me. And Australians should observe with no pride the disgraceful pandering to these sentiments by Prime Minister Gillard and US Secretary of State Hillary Clinton have not had a word of criticism for the other media organisations. That is because The Guardian, The New York Times and Der Spiegel are old and large, while WikiLeaks is as yet young and small. We are the underdogs. The Gillard government is trying to shoot the messenger because it doesn't want the truth revealed, including information about its own diplomatic and political dealings. Has there been any response from the Australian government to the numerous public threats of violence against me and other WikiLeaks personnel? One might have thought an Australian prime minister would be defending her citizens against such things, but there have only been wholly unsubstantiated claims of illegality. The Prime Minister and especially the Attorney-General are meant to carry out their duties with dignity and above the fray. Rest assured, these two mean to save their own skins. They will not. Every time WikiLeaks publishes the truth about abuses committed by US agencies, Australian politicians chant a provably false chorus with the State Department: "You'll risk lives! National security! You'll endanger troops!" Then they say there is nothing of importance in what WikiLeaks publishes. It can't be both. Which is it? It is neither. WikiLeaks has a four-year publishing history. During that time we have changed whole governments, but not a single person, as far as anyone is aware, has been harmed. But the US, with Australian government connivance, has killed thousands in the past few months alone. US Secretary of Defence Robert Gates admitted in a letter to the US congress that no sensitive intelligence sources or methods had been compromised by the Afghan war logs disclosure. The Pentagon stated there was no evidence the WikiLeaks reports had led to anyone being harmed in Afghanistan. NATO in Kabul told CNN it couldn't find a single person who needed protecting. The Australian Department of Defence said the same. No Australian troops or sources have been hurt by anything we have published. The US asked its diplomats to steal personal human material and information from UN officials and human rights groups, including DNA, fingerprints, iris scans, credit card numbers, internet passwords and ID photos, in violation of international treaties. Presumably Australian UN diplomats may be targeted, too. King Abdullah of Saudi Arabia asked the US Officials in Jordan and Bahrain want Iran ‘s nuclear program stopped by any means available. Britain's Iraq inquiry was fixed to protect "US interests." Sweden is a covert member of NATO and US intelligence sharing is kept from parliament. The US is playing hardball to get other countries to take freed detainees from Guantanamo Bay. Barack Obama agreed to meet the Slovenian President only if Slovenia took a prisoner. Our Pacific neighbour Kiribati was offered millions of dollars to accept detainees. In its landmark ruling in the Pentagon Papers case, the US Supreme Court said "only a free and unrestrained press can effectively expose deception in government." 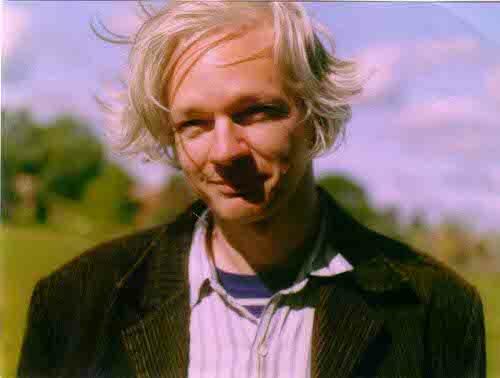 The swirling storm around WikiLeaks today reinforces the need to defend the right of all media to reveal the truth. Julian Assange is the editor-in-chief of WikiLeaks. THE VILLAGE HEALTH WORKER -- LACKEY OR LIBERATOR?